Airbags used in the Mars Exploration Rover mission are the same type that Mars Pathfinder used in 1997. 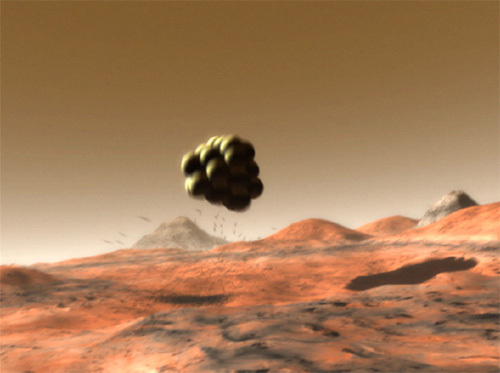 Airbags must be strong enough to cushion the spacecraft if it lands on rocks or rough terrain and allow it to bounce across Mars' surface at freeway speeds after landing. To add to the complexity, the airbags must be inflated seconds before touchdown and deflated once safely on the ground. While most new automobiles now come with airbags, spacecraft don't. 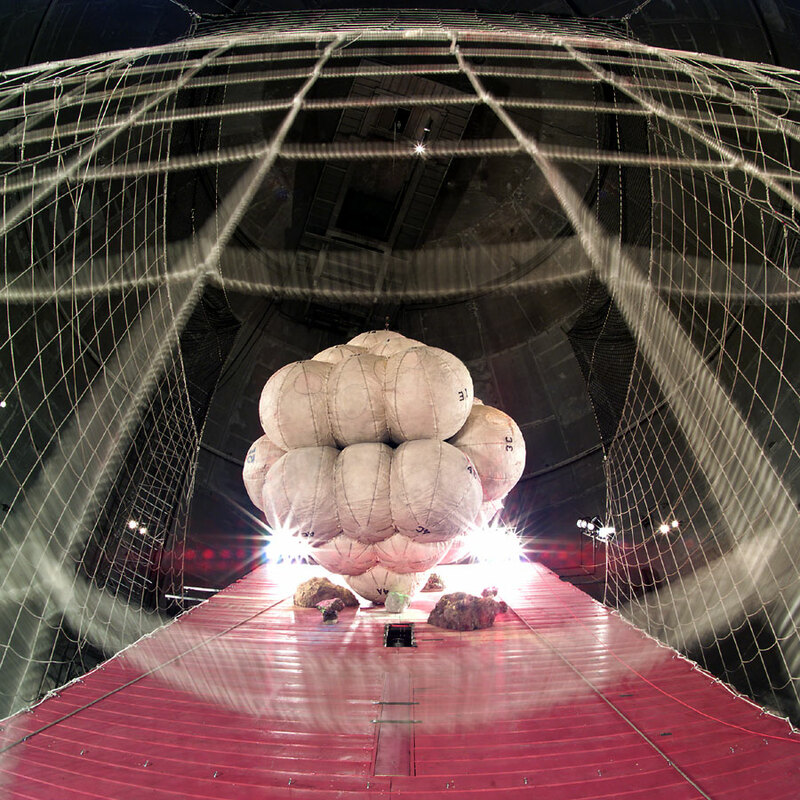 The fabric used for the new Mars airbags is a synthetic material called Vectran that was also used on Mars Pathfinder. Vectran has almost twice the strength of other synthetic materials, such as Kevlar, and performs better at cold temperatures. Denier is a term that measures the diameter of the thread used in the product. There are six 100-denier layers of the light but tough Vectran protecting one or two inner bladders of the same material in 200-denier. Using the 100-denier means there is more actual fabric in the outer layers where it is needed, because there are more threads in the weave.